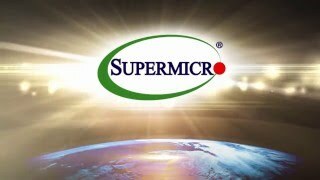 Supermicro es un líder global en alto rendimiento, tecnología de servidores de alta eficiencia e inovación. 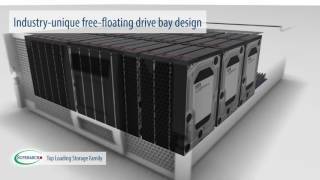 Desarrolla y provee de extremo a extremo las soluciones de cloud, centro de datos, TI empresarial, grandes volúmenes de datos, sistemas de alto rendimiento, o HPC y Mercados. van desde un servidor completo, el almacenamiento, la cuchilla y estaciones de trabajo, dispositivos de red, software de gestión de servidores, soporte y servicios. Ofrecen a sus clientes un alto grado de flexibilidad y personalización proporcionando lo que creemos que es la gama más amplia de la industria de las configuraciones de servidores. 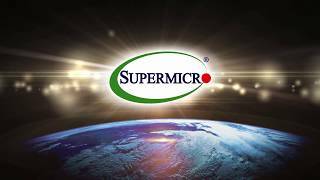 Supermicro has developed a line of fully configured GPU solutions to address the rapidly growing Virtual Desktop Infrastructure (VDI) market. 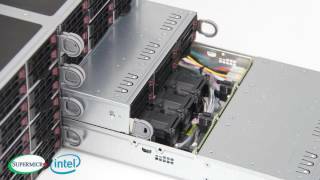 These solutions include a Supermicro 1U, 2U, FatTwin™, or 4U Tower SuperServer® configured with 2x Intel® Xeon® E5-2600 v4/v3 CPUs, up to 3TB ECC DDR4-2400MHz memory in 24 DIMM slots per node, and NVIDIA® Tesla® GPUs based on the Pascal or Maxwell microarchitectures which deliver best-in-class virtual desktop experience to users anytime and anywhere. VDI has become increasingly popular with the broadened availability of mobile broadband, higher bandwidth, more compute power in modern mobile devices, higher display resolutions and a trend of BYOD within enterprises. Supermicro offers pre-validated GPU solutions featuring NVIDIA® GRID™ Virtual GPU (vGPU) Technology include NVIDIA® Tesla® M10 which is optimize for user density at office environments, NVIDIA® Tesla® M60 is performance optimized with more CUDA cores and targeted at professional graphics market, NVIDIA® Tesla® P40 delivers up to 2x the professional graphics performance when compared to M60. 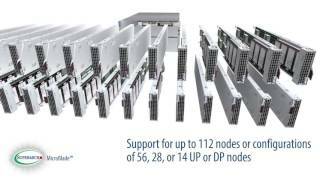 Supermicro 42U Rack Supermicro vSAN ReadyNode™ focuses on deploying VMware vSAN, a hypervisorconverged solution, as quickly as possible. vSAN provides you with the ability to provision and manage compute, network and storage resources from a single pane of management. 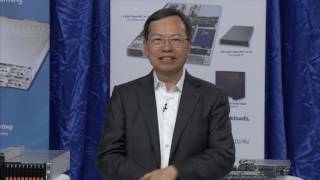 Working with VMware, Supermicro delivers an alternative to traditional Fiber Channel SAN based virtualization infrastructure, which is known for its complexity and interoperability challenges. 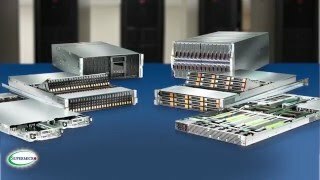 Targeted at a multitude of use cases in tier 1/2 production workloads and Virtualized Desktop Infrastructure (VDI), especially with all flash deployments, Supermicro vSAN ReadyNode™ introduces a new high performance storage tier optimized for enterprise-class virtual environments that is simple, resilient and efficient that reduces the total cost of ownership. It is a perfect solution for Enterprises ROBO and SMBs to efficiently grow and manage virtualized infrastructure for maximum ROI.